In October 2015, the Republic of Turkey retained the international law firm, Amsterdam and Partners, to investigate the global activities of Pennsylvania resident, the mysterious Turkish cleric, Fethullah Gulen, whose network of followers happen to operate over 100 US charter schools. On May 19, 2016, the Texas Tribune reported that Amsterdam and Partners planned to file a complaint with the Texas Education Agency (TEA) regarding alleged illegal operation of one specific Gulen-run charter school network, Harmony Schools. Here is the text of that 32-page complaint, dated May 26, 2016. 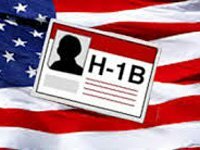 An H-1B visa is a special visa intended to be used for placing a foreign individual in a U.S. job that cannot be staffed with U.S. citizens. Harmony uses the H-1B visa process extensively, claiming it cannot find enough qualified teachers in Texas to teach its STEM curriculum and instead spends taxpayer dollars to source an extraordinary number of teachers from other countries, primarily Turkey. From 2013-2015, Harmony filed a remarkable 780 visa applications for a wide range of employment positions. In 2015 and 2016, Harmony sponsored more H-1B visas than any other elementary or secondary entity in the U.S. The number of visa applications sponsored by Harmony is especially abnormal considering the small size of Harmony’s workforce. For the 2014-2015 school year, Harmony employed approximately 2,600 personnel. By contrast, Baltimore City Public Schools—which sponsored the second highest number of H-1B visas among elementary and secondary schools in the U.S. in 2015—employs over 11,200 full-time staff. The use of H-1B visas to source employees is not new to Harmony in recent years, either. From 2001-2012, Harmony filed 2,500 H-1B applications, with an astonishing total of 3,280 applications from 2001-2015. In addition to Harmony’s unlawful hiring preference for Turkish teachers, Turkish teachers are paid more on average annually than non-Turkish teachers. Furthermore, there are numerous examples of pay disparities between Turkish and non-Turkish teachers with similar years of experience and degrees and who teach similar subjects. • At the Houston Science Academy, a male Turkish teacher with a Bachelor’s degree and three years’ experience teaching “Other” subjects is paid $51,000, while a female nonTurkish teacher with a Bachelor’s degree and three years’ experience teaching English Language Arts is paid $47,900 – a disparity of $3,100. In addition, a female teacher at the same school with a Master’s degree and two years’ experience teaching “Other” subjects and Fine Arts is paid $46,600, a disparity of $4,400. • At the Harmony Science Academy in El Paso, a male Turkish science teacher with a Bachelor’s degree and four years’ experience is paid $63,700 annually. A female nonTurkish teacher who teaches science and CTE subject areas has a Bachelor’s degree and five years’ experience and is paid $50,500 annually, $13,200 less than the Turkish teacher. • At the Harmony Science Academy – West Houston, a male Turkish teacher with a Bachelor’s degree and no experience, who teaches English Language Arts and “other”, is paid $56,875 annually. At the same school, a female non-Turkish teacher, who has one year of experience and teaches English Language Arts, “other”, and Social Studies is paid $47,000 annually, a disparity of $9,875. • At the school of Innovation in Fort Worth, a male Turkish teacher, with a master’s degree and thirteen years of experience, teaching “other” subjects, makes $72,000 annually. At a different school, but in the same district, a female, non-Turkish teacher with thirteen years of experience and a master’s degree, who is teaching “other” subjects”, makes $55,000 annually, a disparity of $17,000. Harmony repeatedly selects vendors owned or operated by individuals of the same preferred national origin (Turkish) as the Cosmos governing board. Many of these individuals were also formerly employed by Harmony before starting these vendor companies and have other overlapping ties with current Harmony employees and leadership. Furthermore, Harmony appears to share land and resources with some of its highest paid affiliated Turkish vendors. All of these facts provide strong circumstantial evidence that Harmony may be violating state and federal laws related to competitive bidding, conflict of interest, and nepotism prohibitions and warrants the TEA to investigate Harmony’s procurement practices closely. From a review of Harmony’s publicly available IRS 990 forms between 2004-2014 which list the top five paid contractors each year, 61% of those contractors are Turkish-owned and operated. Of the $202,024,228 of state and federal funds paid out to Harmony’s top fifty-four contractors over that same period of time, $152,770,870 went to the Turkish-owned and operated businesses, or 76%. More information is needed about the additional contracts of $100,000 and over that Harmony has executed. There were 124 additional contracts issued in 2014 alone, but they are not publically available. Interestingly, the Cosmos Board Finance Committee is run by five individuals—all Turkish—and at least one bid proposal in 2014, and likely others, was reviewed by an all Turkish internal review committee. And there is much more, too much to include in this post, such as specifics regarding the cozy, profitable network of Turkish-operated businesses and school employees profiting handsomely off of American taxpayer money; specifics on the operation of and interconnections between Harmony and other Turkish-dominated schools in Oklahoma, Ohio, Arkansas, and Louisiana. Like all charter networks and businesses operating within the Gülen organization, Harmony and its affiliates regularly donate to state and federal politicians on both sides of the aisle. In fact, Gülen himself reportedly stated in a Turkish newspaper that his followers must donate to their local politicians to gain admittance to his secretive compound in rural Pennsylvania to visit him, though Gülen later denied making the remark. These giving campaigns are well-timed. In the 2012 election cycle, Harmony’s state political contributions sky-rocketed. Harmony and its affiliates fit this pattern through a high degree of activity toward influencing state and federal policy, legislation, and general treatment for their business model through institutionalized giving. A search of the Texas Tribune Campaign Finance website underscores the extent of political contributions by this network of inter-related Turkish individuals and businesses. This increase in donations followed the 2011 call to audit Harmony’s procurement practices by the Texas House Government Investigations and Ethics Committee. There is no record that the procurement audit was ever conducted, however, and it was not included in the House interim charges for the 82nd Legislature. – Minutes from the Harmony Public Schools Board meetings are not available online. We know they exist because approval of Board minutes is an item on Board agendas (which are posted online). – Minutes from the Harmony Public Schools Committee meetings are not available online. Again, we know they exist because approval appears on Board agendas. – Unlike other public organizations (TEA, AISD, etc), Harmony does not make the names or contact information of employees at the campus or district level available online or in any other document. This is an issue for parents that might want to contact a district superintendent or other Harmony official directly if facing a problem at the campus level. – Of the last nine Board meetings, the dates of four have been changed, making monitoring the meetings more difficult. – In 2014 alone, Harmony contracted with 129 entities for amounts over $100,000 (this number is reported on IRS Form 990) but the vendor information is not publically available. Only the five largest contracts are listed in the IRS 990 tax forms. As Harmony’s authorizer, the TEA has the power to gather records sufficient to conduct a comprehensive investigation. To date, Harmony has managed to evade such a comprehensive investigation. However, the TEA and the Commissioner of Education have the opportunity and the obligation to investigate the irregular practices and operations of Harmony Public Schools across the state that are exhaustively documented in this complaint. The TEA has the authority to address this organization’s questionable operations by reconstituting the Cosmos Foundation and applying sanctions, thereby preventing further mismanagement of state and federal tax dollars that makes victims of families, teachers, and taxpayers in Texas. We urge you to investigate Harmony’s discriminatory treatment of its employees and students, abuse of the H- 1B visa program, and questionable business practices, and to reconstitute the Cosmos Foundation governing board, to prevent further misconduct as is TEA’s prerogative, and indeed, duty. Stay tuned to see how Texas responds. Scrutinizing and subsequently cutting off that convenient H-1B visa flow would be a good start. Melania Wronged Which presidential candidate is winning the Twitter War?